When is enough, enough? When have you acquired enough? When have you achieved enough? I have very close ties to a family that is attempting to answer those questions. Those questions have been answered for each of the individual family members but as a collective whole, as a family unit, those answers are not coming easy. 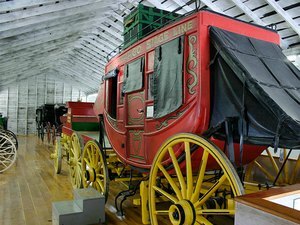 If you have ever traveled through the Midwest, Nebraska specifically, you will have heard or seen the name Pioneer Village. 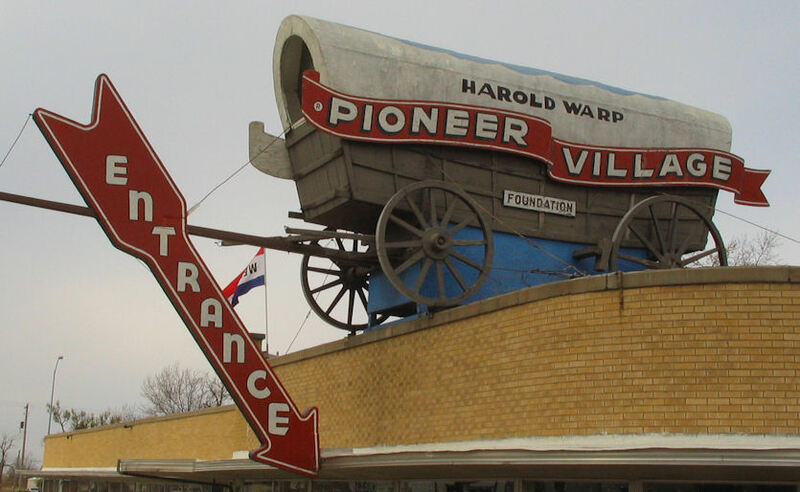 When I was a small child Pioneer Village was the most intriguing landmark in Nebraska. My family farm is not far from the museum’s location and all through my youth I heard of the vast collection the Warp Family had displayed. 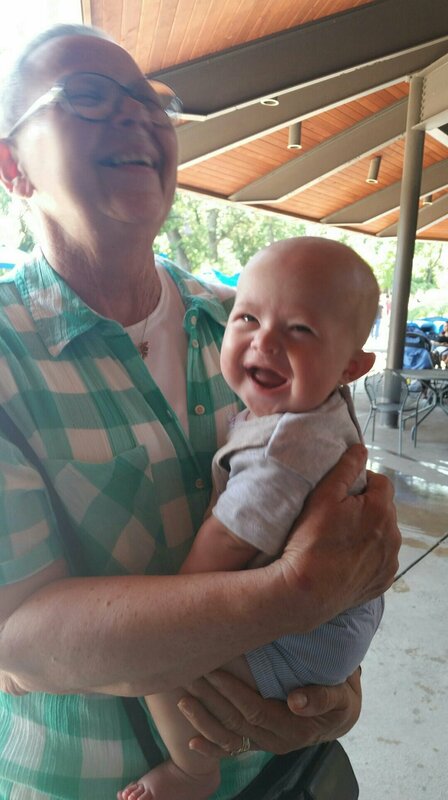 We have had family reunions at the restaurant, toured through the maze of buildings, and enjoyed afternoons reminiscing with friends. Around every turn there was something new you missed the last time you went skipping by. It is in a tiny town, in the middle of the state, away from all the main traffic of tourists. 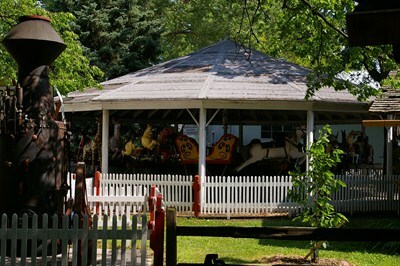 If you want to visit this community icon you will need to travel a bit off the beaten path. Once you arrive in the small community of Minden Nebraska, you can’t miss it. It sits on the corner of highway crossroads. 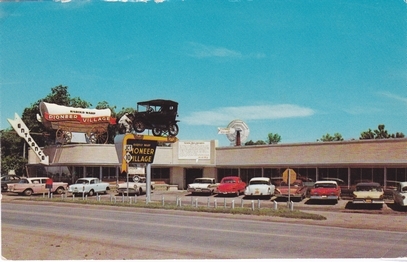 There is a huge covered wagon sitting on top of the building and an old car resting precariously on top of the sign. The buildings themselves are historic landmarks, 28 to be exact, all built for this one purpose, to house over 50,000 artifacts from the pioneer era. The main museum building is packed with items all from the era of the earliest settlers. The collection includes everyday things like dishes, clothing, tools and all the household amenities a traveling family might need as they literally uprooted their families and traveled across the prairie, known as “The Sea of Grass”, to find a more prosperous home life. Imagine all your earthly possessions crammed into a wagon. Only a canvas cover between your great aunt Edna’s piano from the homeland and torrential rain and wind storms, or worse thieves. Most items did not survive the settlement of this great nation. Many heirlooms were lost to the elements. Some items became priceless to the owners because they did survive. The Warp family has spent years collecting, restoring, and building their empire. They take pride in the ongoing development of their business. The public collection is impressive but the personal collection is just that, personal. So as economic times slow, the once iconic vacation stop, the family is faced with the decision of when is enough, enough. Where do business and family lines blur? My prayerful hope is the family continues to offer this step back in time to the passerby. My wish is that this glowing testament to the pioneers does not vanish like the wagon wheel ruts through the prairie. Yet I do know it is a possibility.